I am envious Guys, sorry we missed you in Athens this weekend! Sorry we missed you too! 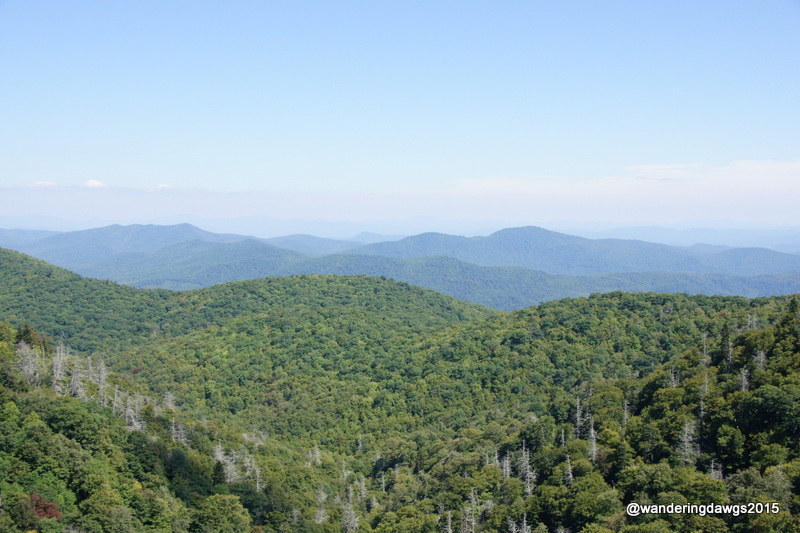 We love the Blue Ridge Parkway and Surrounding area. Nice Pics. 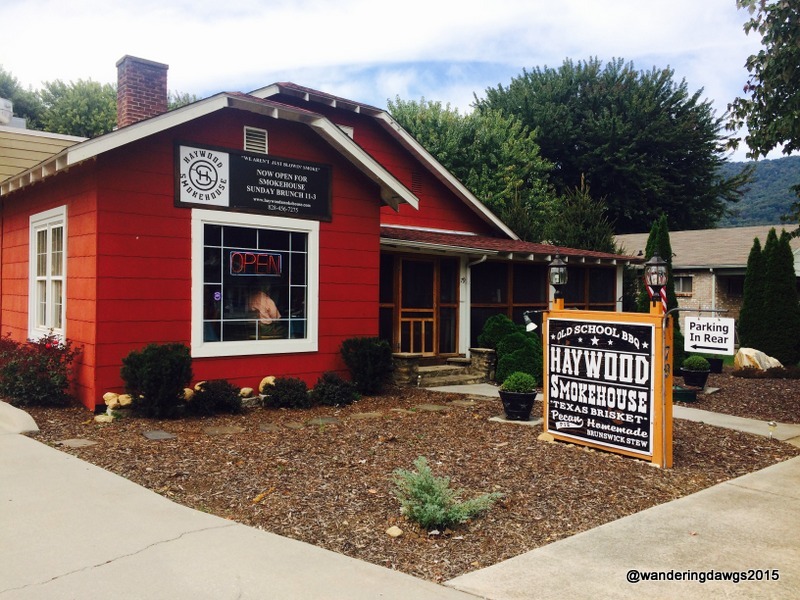 We will be in Waynesville October 14th-October 18th. It’s an annual pilgrimmage for us to attend the Waynesville Apple Fest. It’s great fun. Thank you for visiting my blog! 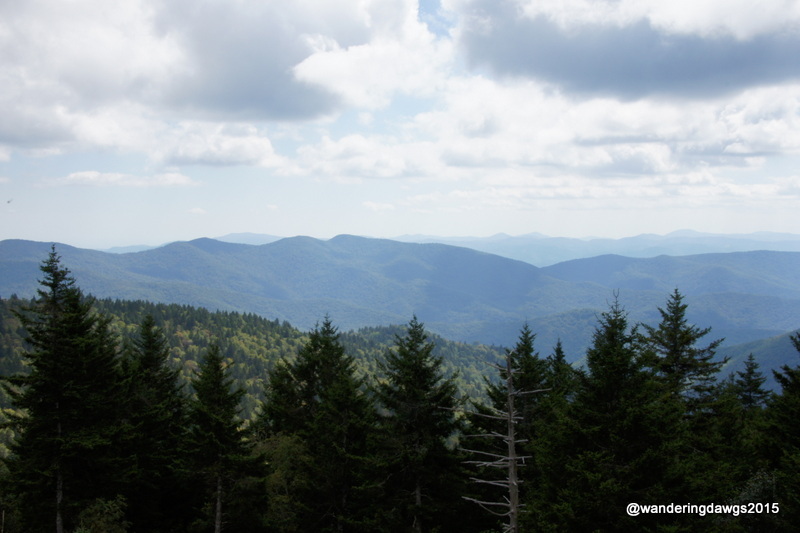 In the past we have traveled to Cherokee and the Cades Cove area of the Smokies but this was our first visit to the Waynesville area. The apple fest sounds like a lot of fun. Of course we brought some North Carolina apples home with us! And great weather! You are right, it was a great adventure! 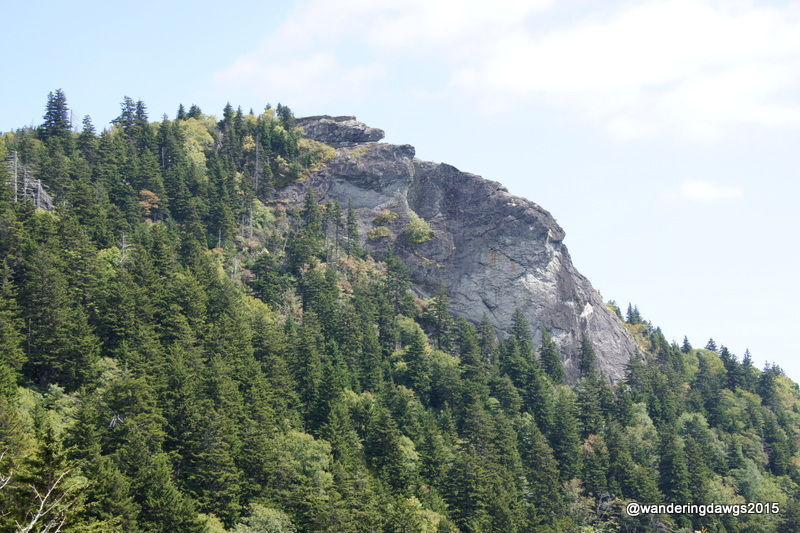 Looking Glass Rock is stunning. I was surprised to see the leaves starting to turn there because our leaves in Maine are just starting to turn. 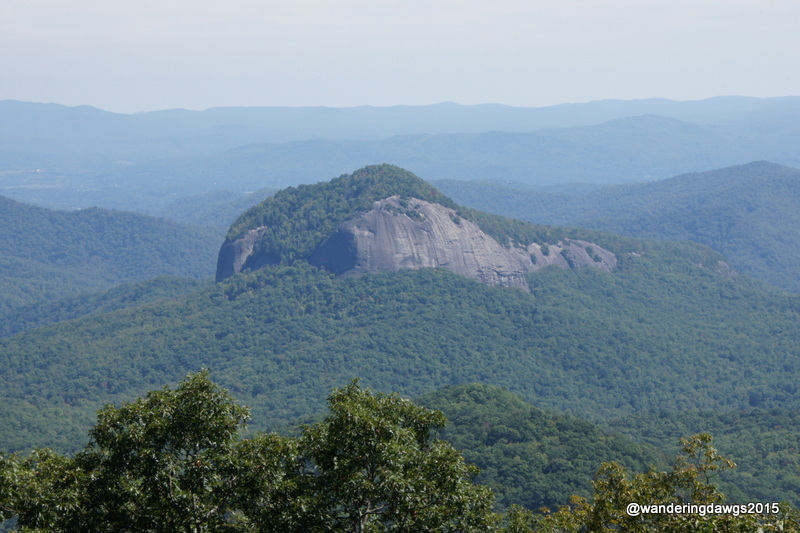 I would love to see Looking Glass Rock with the sun reflecting off of it. 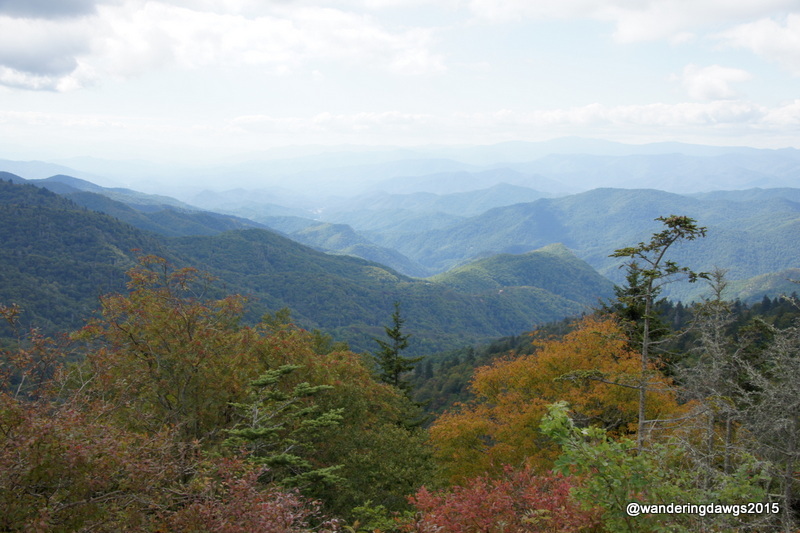 We were at fairly high elevations when we saw the most colorful leaves. 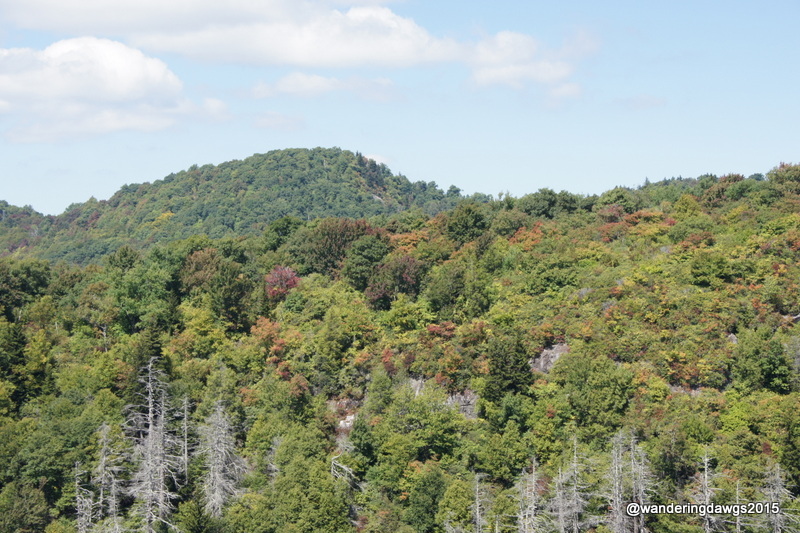 I think we missed the peak colors by a couple of weeks. Such beautiful scenery! Looking glass rock was awesome! 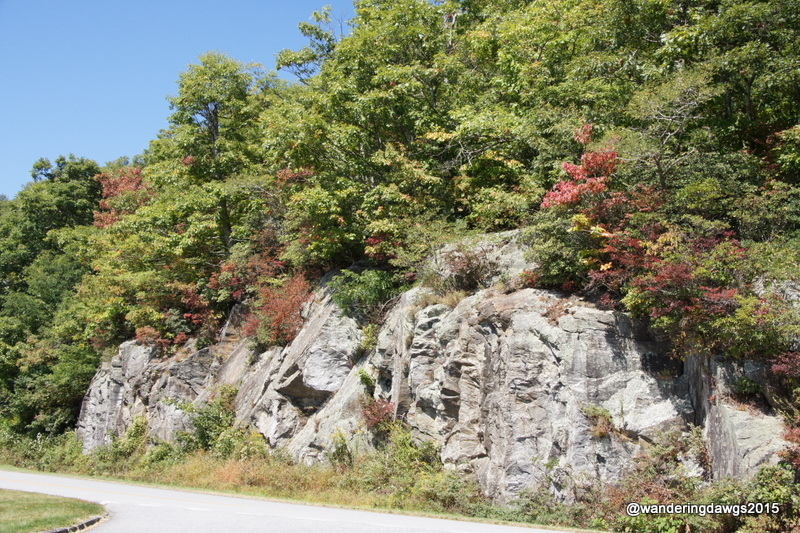 We have driven on several different sections of the Blue Ridge Parkway and the scenery is always amazing. I have to tell you… We are dog sitting our grandog right now. A big yellow lab. He is 14 years old… but is still trying to get around. I have seen your pup so many times in photos and just had to tell you. I also had a yellow lab years ago of my own. Such gentle creatures! Thanks for thinking of Blondie! Yes, labs are so gentle and sweet and lovable. Blondie is our fourth lab. She is 10 and still thinks she is a puppy even though she doesn’t get around as well as she used to. She has to use a ramp now to get in and out of the truck. Enjoy your granddog and give him a pat for me.